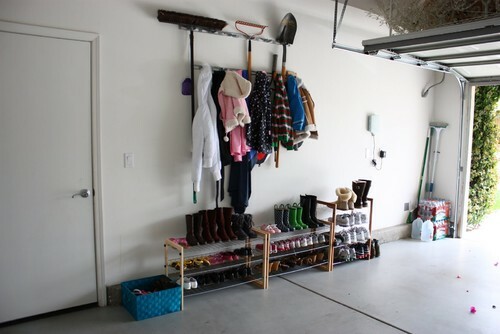 If you work at your garage one step at a time you can get it in order and completely transform your messy, disorganized garage into something beautiful, clean, and organized. With simply steps like increasing storage options or getting your entire family to help out, you can make your garage look ten times better. Soon, you’ll want to spend all your time working on projects in the garage! 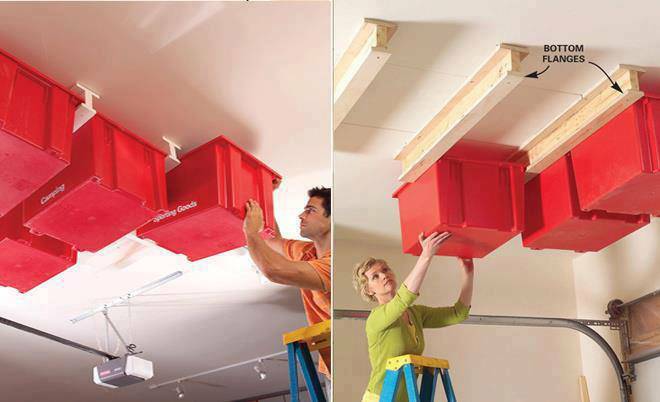 You can easily create a track on the ceiling of your garage to slide in storage bins. 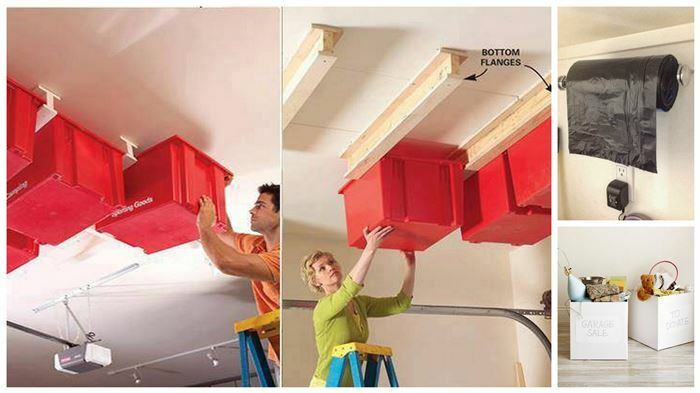 They can easily hold lighter items up and out of the way. 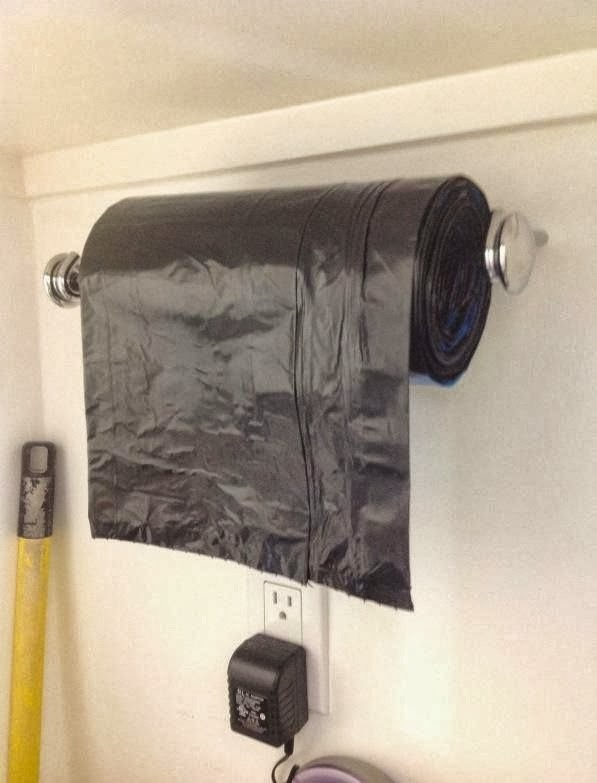 Instead of piling up boxes of garbage bags in the garage, install a towel rack on your wall to keep them neat and off precious shelf space. Leaning bikes against the wall takes up a lot of unnecessary space. 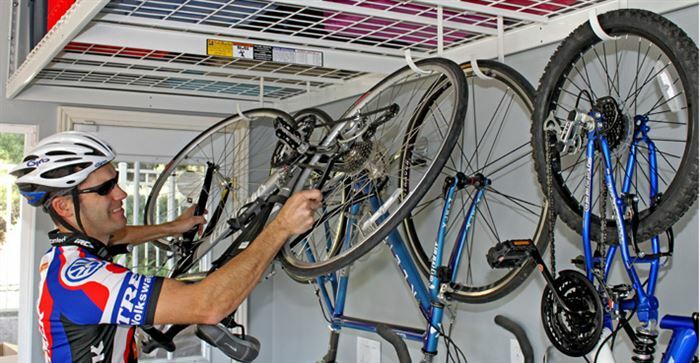 Install bike hangers so you can declutter, keep bikes secure, and completely out of the way. 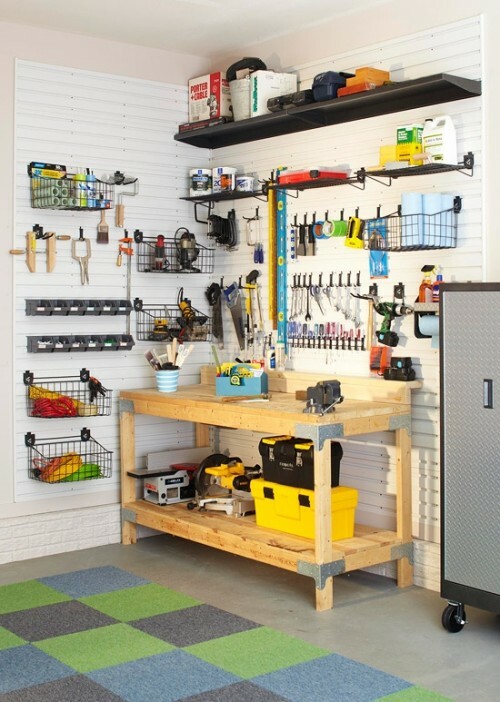 Make a work bench or tool area somewhere you want to work, can take pride in, and aspire to keep it organized. 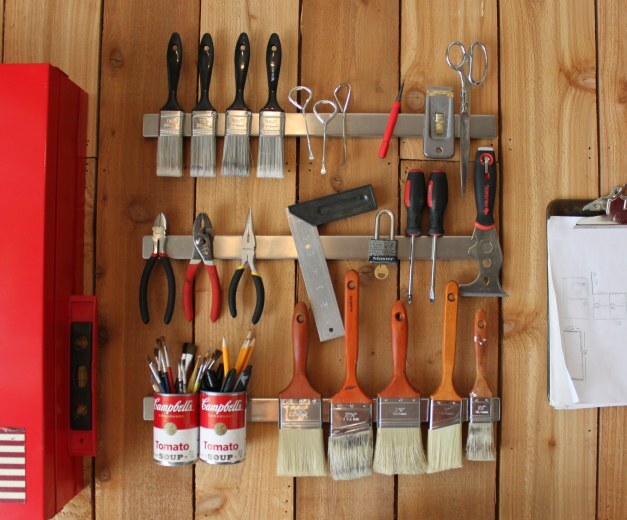 Think of ways that could work for you in regards to storing tools and accessories like magnets. 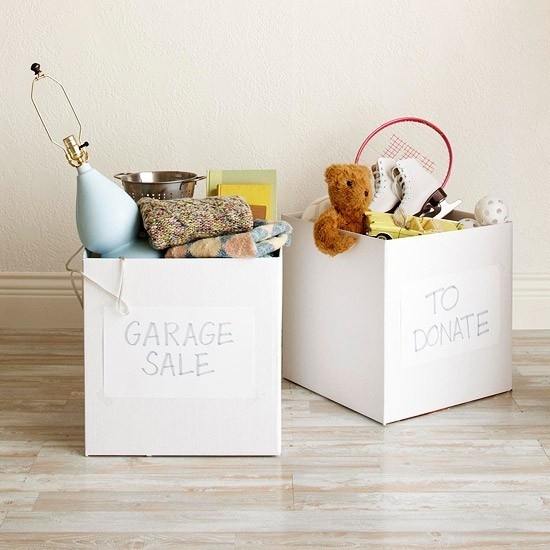 Rather than tossing your unwanted stuff in the corner of the garage, place them in easily transportable boxes so you can just pop it in the car when it’s time to take them to the donation center. 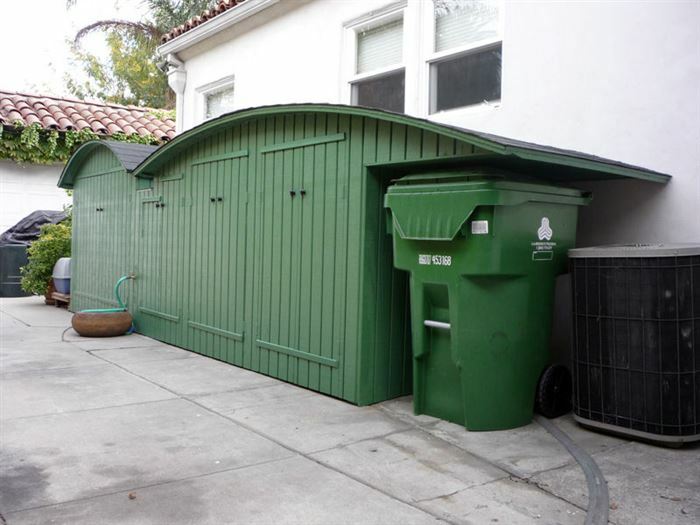 Eliminate garbage puddles, stains, and bad odors by simply moving it all outside. Coats and boots go where they belong each and every time, cutting down on the amount of time spent organizing. With these awesome tips and tricks, you’ll be on your way to having an immaculate garage in no time!